Why didn’t Helen Twelvetrees become a legendary movie star? She had the talent: Just watch her in the little-known drama, Young Bride (1931). She plays a naive librarian who marries a slick-talking con artist (Eric Linden). One evening, shortly after their honeymoon, a restless Linden tells Twelvetrees he needs his space, needs to get out and see people. She, understandably, doesn’t want him to leave, but she bravely (stupidly) encourages him to go. Putting on a brave face is what she does in many of her films. Perhaps it’s what she had to do in life, too. 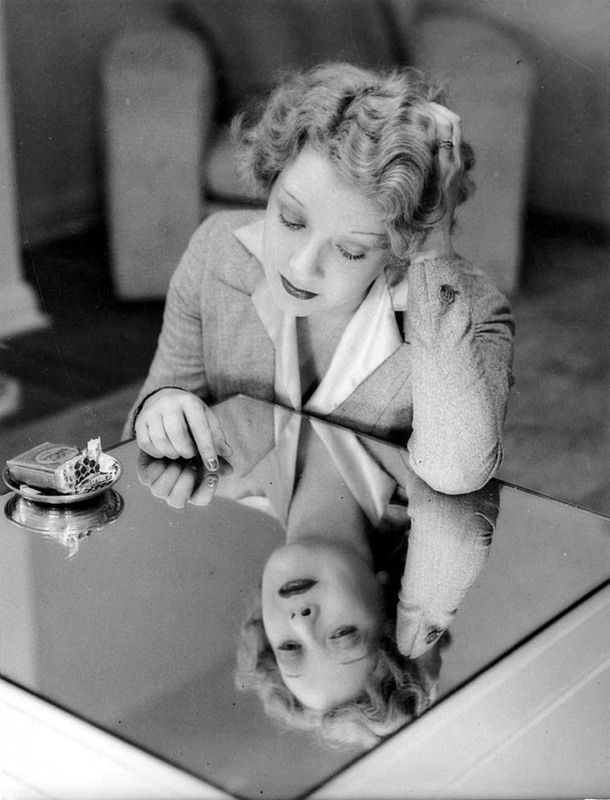 Helen Twelvetrees is an actress who, for a brief moment, made it Big in Hollywood. She appeared in films with Clark Gable, Spencer Tracy and John Barrymore, but many people today have never heard of her. 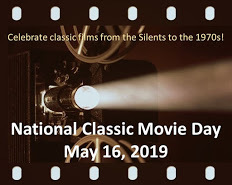 Happily, classic film blogger and historian, Cliff Aliperti, has published a biography of Twelvetrees, Helen Twelvetrees, Perfect Ingenue: Rediscovering a 1930s Movie Star and Her 32 Films. According to Aliperti, Twelvetrees hit her peak in 1931 with the movie Millie. After that, her career began its slow ride down to the ground floor. At her peak, she was twenty-four years old. Aliperti’s book is well written and incredibly well researched. He cites newspaper articles, ship passenger lists, and even the 1940 U.S. Census. One thing we (as in, yours truly) appreciate about this book is Aliperti’s refusal to turn it into a juicy tell-all. He easily could have; Twelvetrees was regarded as a temperamental actress who was married four times. But the most fascinating thing he discusses is Twelvetrees’ ill-fated Hollywood career. It appears the industry was in a period of flux in the early 1930s. Smaller or less profitable studios merged with, or were bought out by, competing studios. Twelvetrees’ studio, RKO, saw changes in upper management and in the way actors were hired. Then there was the birth of her son in 1932. When she returned to work, it was at a new studio where she was hired as a featured player, not a star. Additionally, says Aliperti, Twelvetrees was typecast and missed out on some really important roles. She was considered for the lead in What Price Hollywood?, but that went to Constance Bennett. RKO also refused her permission to audition for roles in Red-Headed Woman (it went to Jean Harlow) and Rain (went to Joan Crawford). Maybe if Twelvetrees had kept her temperament in check, other opportunities may have arisen for her. However, Hollywood grinds out temperamental artists by the truckload. Twelvetrees can’t be entirely to blame for her career descent. After her final movie in 1939, Twelvetrees returned to the stage. She became involved with the USO during WWII, and later hosted a radio gossip show in New York. She would eventually work in television, as well. She died in 1958, aged 50. The coroner listed the cause as suicide from pain killers that she was taking for back pain. Would she describe her career as a case of rotten luck? Perhaps not. Aliperti includes this observation from Twelvetrees herself in a New York Post interview in 1942. 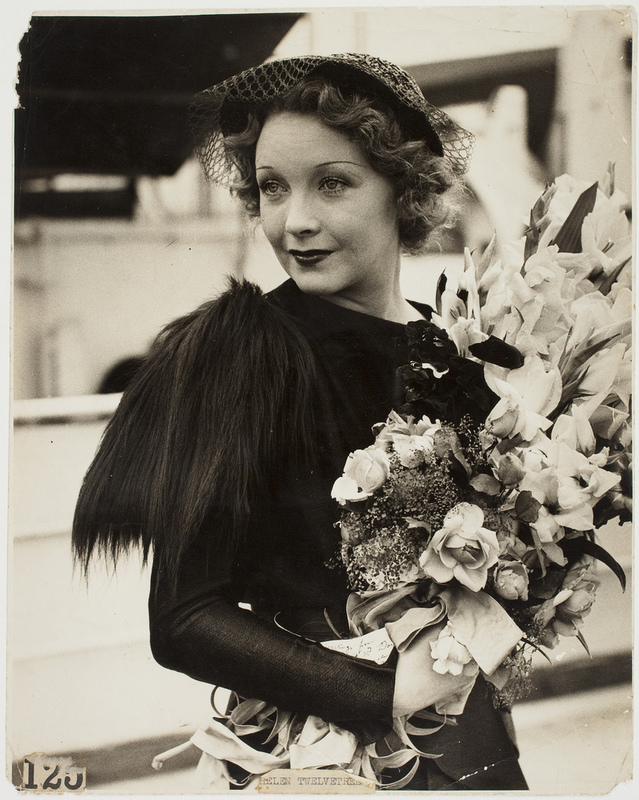 You can purchase a copy of Helen Twelvetrees, Perfect Ingenue: Rediscovering a 1930s Movie Star and Her 32 Films by clicking HERE. Check out Cliff Aliperti’s fab blog, Immortal Ephemera, HERE. To read Kristina’s review of this book at Speakeasy, click HERE. Note: The author sent us an advance reading copy to review. Call me shallow but I can’t help thinking the name “Twelvetrees” was a bit of a handicap. maybe if she changed it to something a bit catchier and more Hollywood? I wonder about that, too. It is a memorable name, but very different from the WASP-ish names studios were giving stars back in the day. The name may have turned out to be too catchy—it hurt her retroactively by keeping a glimmer of memory alive, but without any substance back of it. It didn’t really hurt her in her prime as she did achieve a solid level of stardom with it between 1930-33. During the early part of that period she was part of Pathe’s big three, her name almost always trailing those of Constance Bennett and Ann Harding in promotional materials. She was hurt more by typecasting continued at Paramount after she left RKO. The quality of films dropped, then her billing dropped as she hopped around studios. If she could have kept up the success she’d had during 1930-33, she’d be better remembered today. Thanks again for reviewing the book! Thanks for the chance to review it, Cliff! As I said in response to Kristina’s review, I very much like what I’ve seen of Twelvetrees and this book sounds delectable. You’ve made it sound even delectabler — many thanks! Yes, Cliff’s book is full of great info, and I like how he’s divided it into two parts – biography and review. That man has done some serious research! Splendid review. I also enjoyed Cliff’s book, and I hope many, many other classic film fans will discover it. I hope so too, Jacqueline. It’s a terrific look at the film industry, and at Helen herself. I admire that he didn’t turn it into a scandalous tell-all. I’ve always liked Helen Twelevetrees, so I am excited about this book! As far as her not attaining superstar status, well, she’s in great company. There were countless talented, charismatic, and beautiful performers who fell by the wayside. That’s Hollywood for you. Yes, that, sadly, is true. Helen was one of many who didn’t achieve superstardom – and not for lack of talent. Helen T. is a relatively new discovery to me, but I’m glad I’m a fan now! I discovered her at the same time I discovered most of the others–when I was a very young teen. But, she hadn’t been on my radar for awhile. Thanks for the reminder! I don’t recall seeing Ms. Twelvetrees, Ruth. I am truly poor at recalling names but I do remember faces. Hers is one that I am not at all familiar with. Such a shame that, for whatever reason, her career lost momentum after such a great start. It seems that she definitely had the talent to make it big. She really had talent, and it’s too bad things turned out the way they did – in so many areas. Happily, though, a couple of her films are available on YouTube.